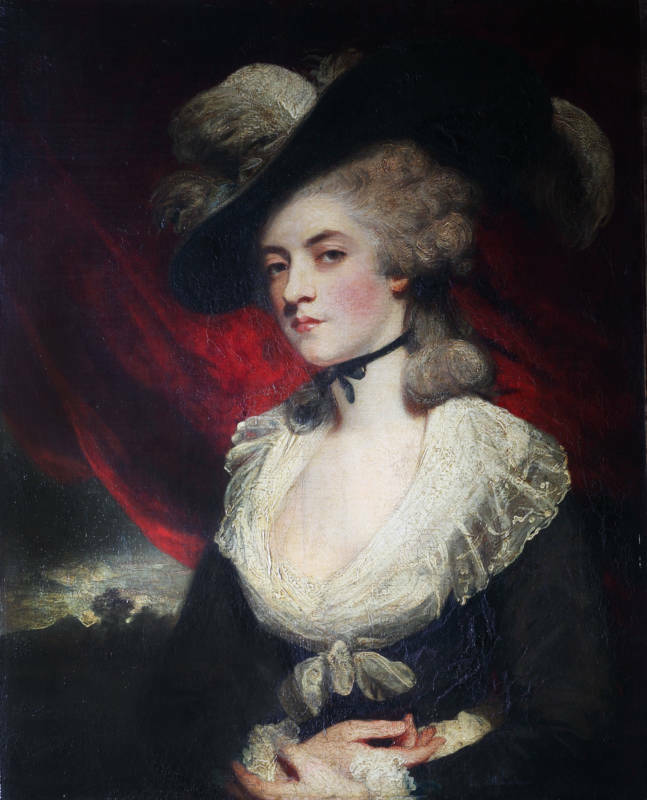 Mrs. Robinson, née Darby, was a celebrated actress and mistress of the Prince of Wales, who fell in love with her when, aged 17, he saw her perform the role of Perdita in the ‘The Winter’s Tale’ in 1779. He wrote her many compromising letters in which he promised her wealth and property if she would leave her husband and give up acting, although within a year he had taken another mistress. 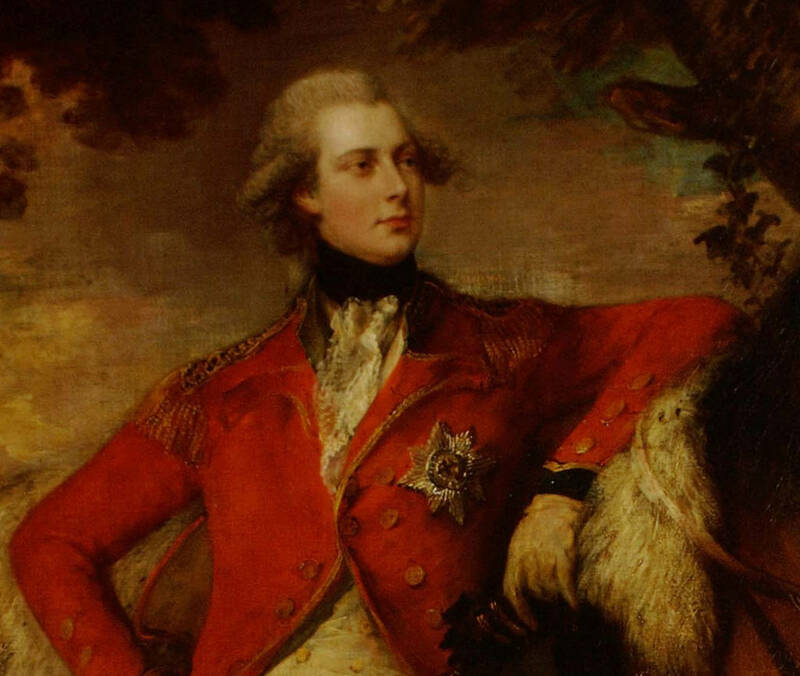 Angry and burdened with debt, Mrs. Robinson tried to persuade the Prince to honour his promises, taunting him in the press and threatening to publish his letters. 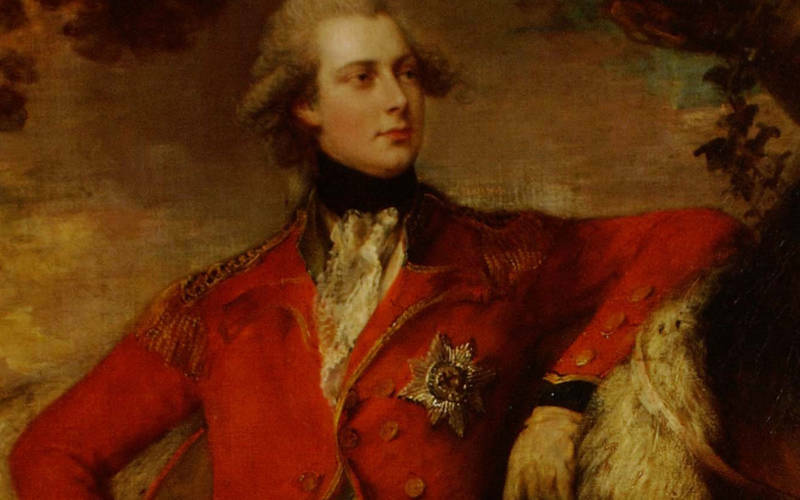 The monarchy could not ignore such a scandal at a time when there was a threat that the American colonies would be lost. In the summer of 1781, the Prince agreed to pay a lump sum of £5,000 and the promise of an annuity if she returned the letters. The painting is recorded in Reynolds’s studio sale after his death and so, if commissioned, was not paid for. It recalls Rubens’ famous portrait of his wife Hélène Fourment, (at Houghton Hall in Reynolds’s day). Reynolds was by no means the first British artist to use Rubens’ full-length portrait as a model and it influenced modern fashions too. Reynolds’s Mrs. Robinson borrows from Rubens the black and white costume, the hat with upturned brim and ostrich feathers and the assertive, arresting gaze. 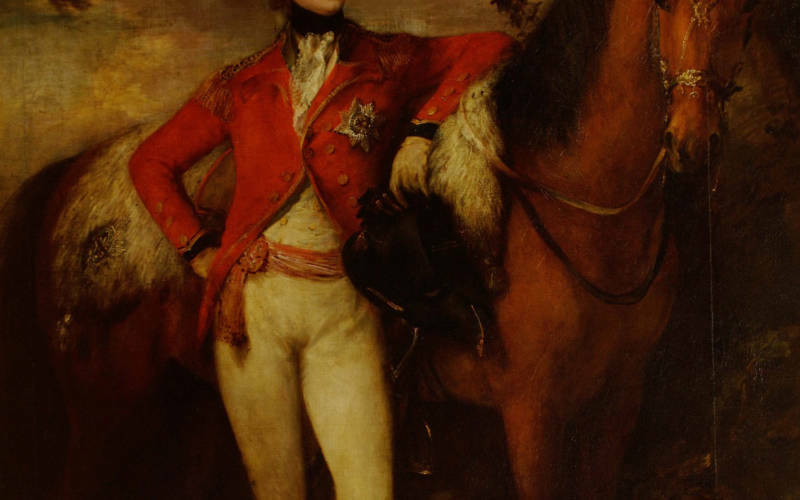 Reynolds’s painting was shown at the Royal Academy in 1782. The London public would have enjoyed the irony of seeing it hanging in the same exhibition as Gainsborough’s Prince of Wales (now in the Red Drawing Room at Waddesdon) when tongues were still wagging about their story of love, money and broken promises. 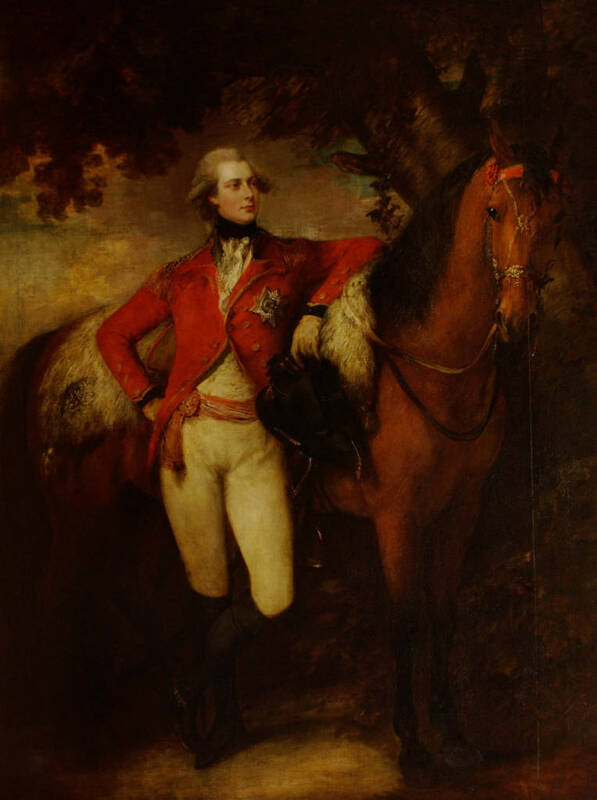 Reynolds’s portrait of Mary Robinson’s new lover, Colonel Tarleton (National Gallery, London) was also on show.